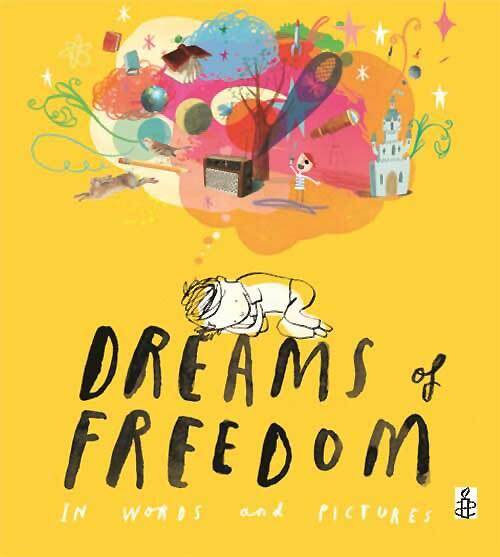 Dreams of Freedom is a beautifully presented book pairing short, deeply salient quotations with powerful images that burst across each double-page spread, created by an international selection of award-winning illustrators. Jackie Morris depicts a goldfinch in a cage with a cat hanging onto it for ‘Freedom to enjoy life and liberty’. It’s an ambiguous painting, beautiful and meticulous as all Morris’ artwork is, but menacing and capturing a moment of stillness amidst the torment that is so apt for the almost frenzied words of Afghan poet Nadia Anjuman, murdered because of her strivings to give freedom to her voice: ‘Oh, I will love the day when I break out of this cage,/ Escape this solitary exile and sing wildly.’ A few pages on, Mordicai Gerstein divides the spread between darkness, loaded with chains and thorns and a hanging noose, and light, with colourful flowers and birds singing in glorious sunshine, to illustrate Harriet Tubman’s words describing her feelings as she ‘crossed that line’ between slavery and freedom so that an inkling of the ‘glory’ she experienced rubs off on us readers. The final ‘chapter’ of the book, ‘Freedom to make a difference’, highlights the Chinese proverb that inspired Amnesty International founder Peter Benenson: ‘It is better to light a candle than to curse the darkness’. Chris Riddell’s illustration combines his talents as a children’s illustrator and a political cartoonist with a representation of the famous Amnesty candle nurturing a naked, wide-eyed child who could be a girl or a boy from anywhere, whilst its flame keeps a threatening array of green-tinted, ugly creatures at bay. The final spread breaks with the format of the rest of the book, offering a joyous poem by Paraguayan poet Elsa Wiezell (translated by Susan Smith Nash) that ends with the words, ‘That is why I love freedom!’ And I love how Korean artist Choi Jung-In’s illustration here conveys every illusion of the poem without a hint of clumsy over-emphasis to unbalance the effect of the whole. A beautiful ending to a beautiful book! 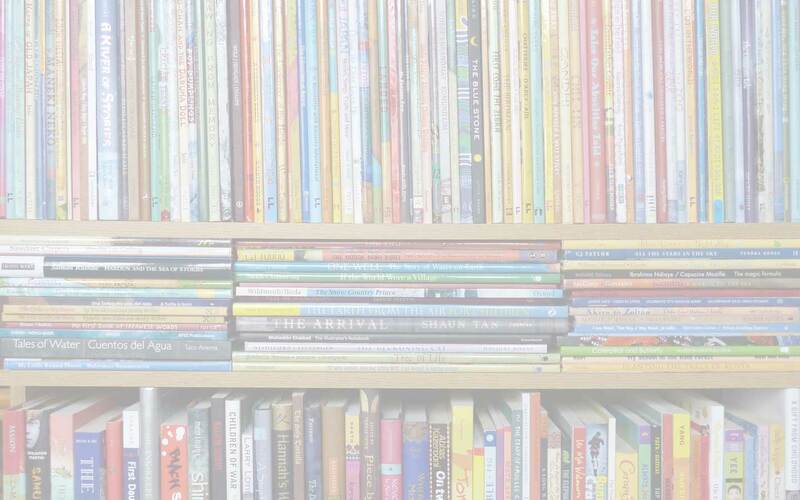 Many children who read Dreams of Freedom will feel secure in their place in the world but they may well also be aware of other children who are not so fortunate. On the one hand, Dreams of Freedom serves as a reminder that freedom is precious and should never be taken for granted; on the other, it provides a spring board for young people both to develop and articulate their empathy with those who suffer because of a curtailment of their right to freedom, in whatever form that might be. It may even inspire them to action: ‘to stand up for others and to make a difference’, as Michael Morpurgo says in his Foreword; and there are a few suggestions about how to go about that, and contact details for Amnesty International, at the end of the book. I would like to say something about every one of the artists and wordsmiths featured but there just isn’t space here, and you probably feel I have said enough already! I will, however, list them below, and I can only urge you to go out and get hold of this beautiful book! Find teaching resources on the Amnesty International’s UK website . View The Guardian’s Gallery of spreads from the book here. Alexis Deacon, Ali Ferzat, Amnesty International, Anatole France, Anne Frank, Antje von Stemm, Armando Valladares, Aung San Suu Kyi, Barroux, Birgitta Sif, Chief Standing Bear, Choi Jung-In, Chris Riddell, Christopher Corr, Dale Blankenaar, Dreams of Freedom, Elsa Wiezell, Frances Lincoln, Gregory Christie, Harriet Tubman, Jack Mapanje, Jackie Morris, Janetta Otter-Barry Books, Javier Zabala, Malala Yousafzai, Marun Hashim al-Rashid, Michael Morpurgo, Mikhail Bakunin Clare Balding, Mordicai Gerstein, MWD book reviews, Nadia Anjuman, Nelson Mandela, Oliver Jeffers, Peter Sis, Raouf Karray, Roger Mello, Ros Asquith, Sally Morgan, Shane Evans, Shirin Adl, the Dalai Lama. Bookmark.